Very nice to use as a gift I bought 2 for my sisters and bought another one for myself. Great to carry food to church dinners or gathering. 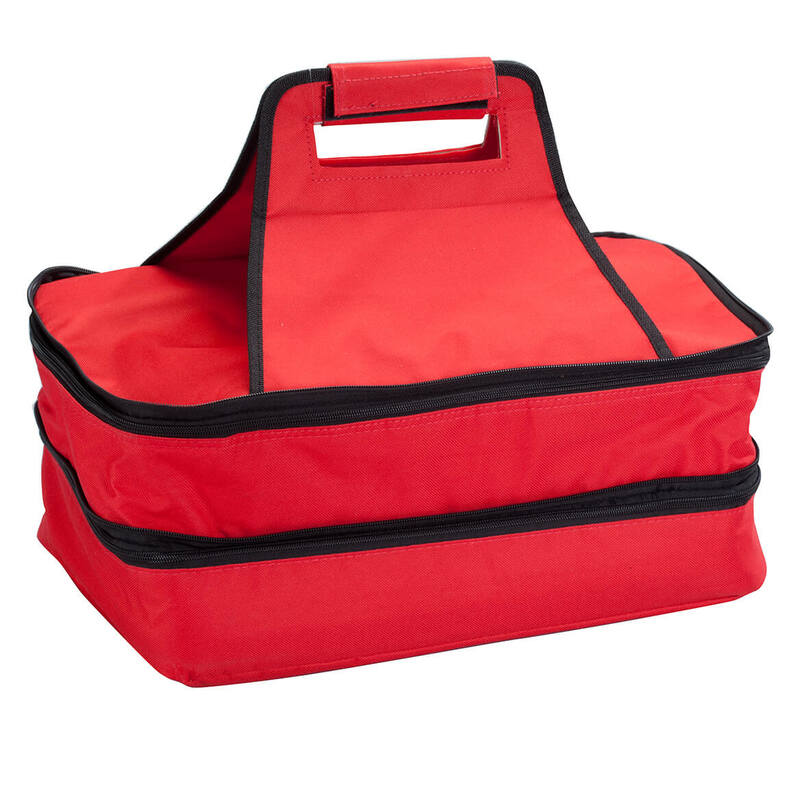 Great for carrying hot and cold snacks to a Music Club I belong to. Can you carry 2 cold dishes or 2 hot dishes? BEST ANSWER: Thank you for your question. 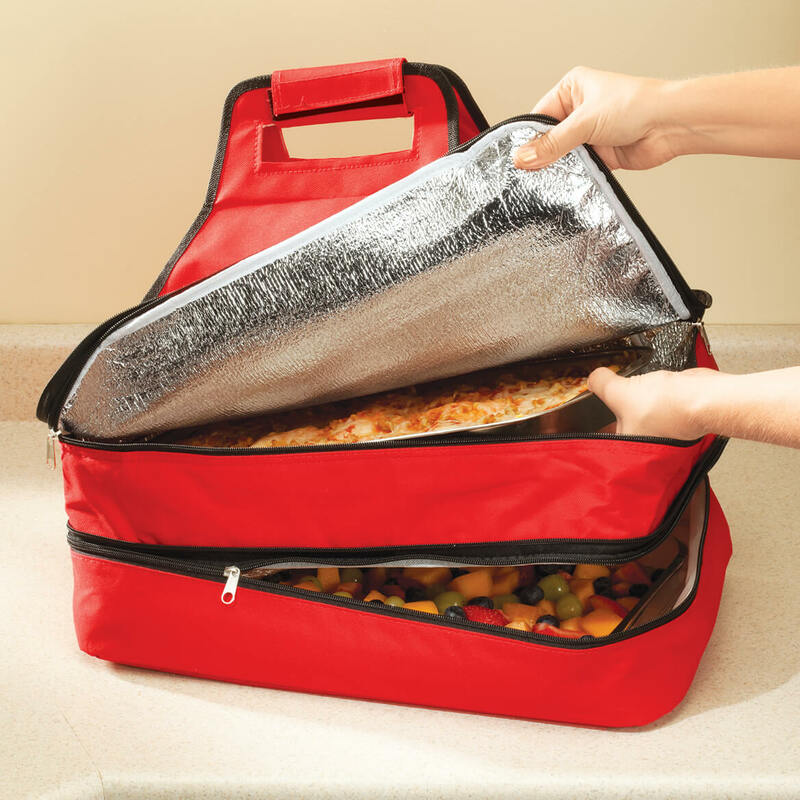 This is mostly intended for casseroles but you should be able to use it to store anything. We hope this information will be of help to you. It says it will hold a 9 x 13 casserole dish. My dish is 10 x 16 1/2. Since the dimensions of the bag are 18 x 11, would you say my dish would fit? It looks like the bag has some give and the dimensions are an inch and a half and an inch larger than my dish. Thanks very much! I need to order two ASAP. BEST ANSWER: Thank you for your question. Unfortunately not this case would not work for that size of dish. We hope this information will be of help to you.